Poinsettia Plant Poisoning is the accidental or intentional intake of the plant or plant product containing the compound. However, the toxicity of the poinsettia plant is reported to be mild. What is Poinsettia Plant Poisoning? What are the Causes of Poinsettia Plant Poisoning? What are the Signs and Symptoms of Poinsettia Plant Poisoning? How is First Aid administered for Poinsettia Plant Poisoning? Generally, Poinsettia Plant Poisoning is a non-serious condition. With appropriate and adequate home care, the individual may recover completely, without any severe symptoms being noted. Who should administer First Aid for Poinsettia Plant Poisoning? 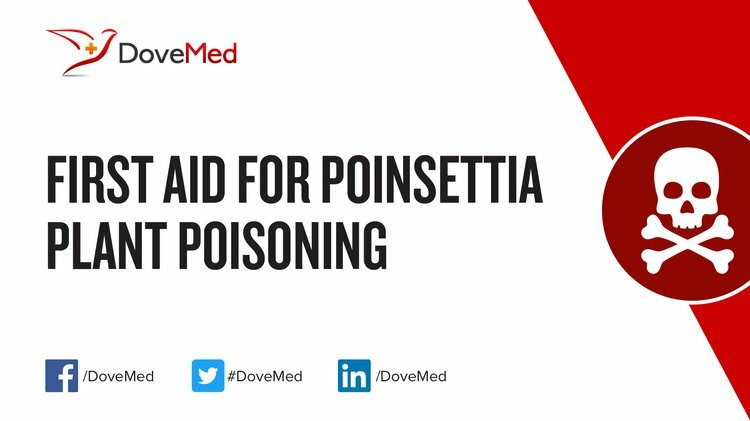 First aid for Poinsettia Plant Poisoning is administered by healthcare professionals. What is the Prognosis of Poinsettia Plant Poisoning? How can Poinsettia Plant Poisoning be Prevented? Cortinovis, C., & Caloni, F. (2013). Epidemiology of intoxication of domestic animals by plants in Europe. The Veterinary Journal, 197(2), 163-168. Krenzelok, E. P., & Mrvos, R. (2011). Friends and foes in the plant world: a profile of plant ingestions and fatalities. Clinical toxicology, 49(3), 142-149. Krenzelok, E. P., & Mrvos, R. (2015). Toxic Christmas and New Year Holiday Plants... or Are They?. Asia Pacific Journal of Medical Toxicology, 4(2), 64-67. Abeles, F. B., Morgan, P. W., & Saltveit Jr, M. E. (2012). Ethylene in plant biology. Academic press.